January 11, 2011 by Alphageek in "alphageek", "review", "urbanspoon"
This is an easy review to write, because the food was great. 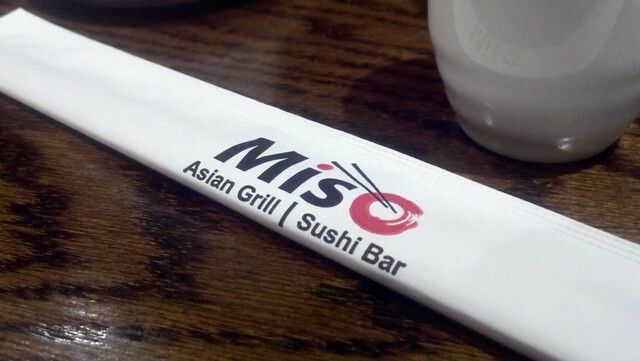 We headed out to eat some sushi and picked Miso Asian Grill and Sushi Bar because some friends recommended it. There certainly has been an explosion of sushi bars in the Fredericksburg area in the last several years, and our exploration of them has slowed down. When we sat down at the sushi bar, we were greeted by fun loving sushi chefs eager to make something original, right there on the spot. We took a few minutes, and settled on several items, including something that was made in the kitchen, which is a rarity for us. Mrs. Alphageek ordered a Thai summer roll. 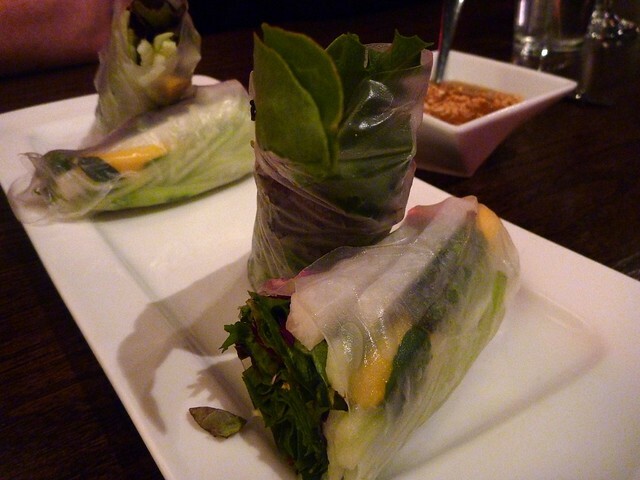 It was rice noodles, lettuce and herbs wrapped in a thin rice wrapper. We found it to be delicious. I even liked it, despite it had some bitter lettuce in it, which is not a favorite of mine. The bitter taste was quickly replaced by a Crab Killer roll that I ordered. While I can't remember every ingredient, it did have soft shell crab and tuna in it, so it would be hard to go wrong with that. I was pleased with the roll that arrived quickly, as well as the care that was taken to create a visually pleasing dish. 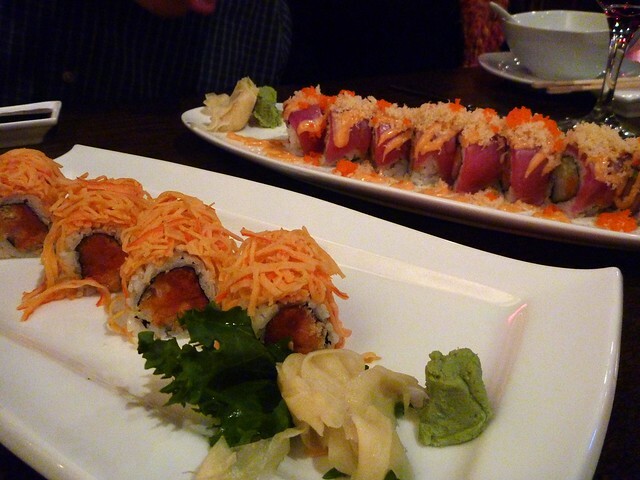 We ordered a magical roll, which is pictured here on the right. Again, the dish was visually pleasing, as well as delicious. 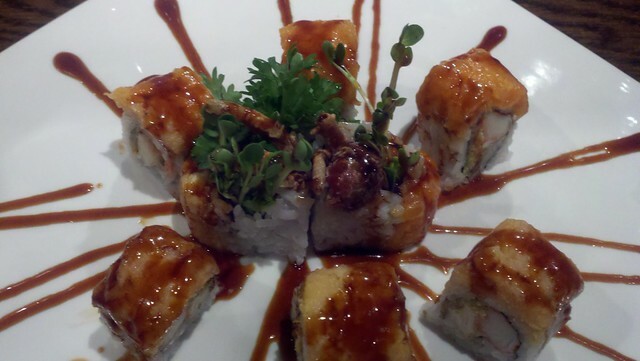 We also ordered an Out of Control roll, which we also enjoyed tremendously. 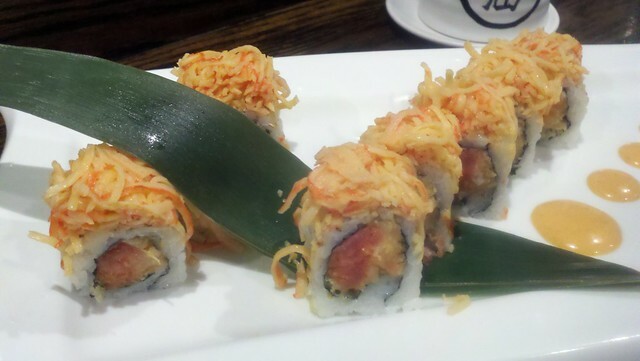 It is great that Miso Asian Grill and Sushi Bar has not given into the trend of adding crunch excessively to every roll. The natural flavors of the ingredients are able to shine through. As a side note, I decided to try my cell phone to take some food pictures. I hope you like these results, but I look forward to using my more standard cameras for food reviews in the future. These were pretty difficult to get to my satisfaction. We thoroughly enjoyed our meal on the cold night in January. If we had any complaint, it was only that someone turned off the kerosene heater while we were there, leaving the smell of unburned petroleum in the air. They have a large menu of other interesting items here. While this was our first visit, it certainly will not be our last. We stopped by to have dinner with some friends. I decided to get some more pictures and do a small update. Not really a review here, because everything was excellent again. I just thought some additional pictures were in order. I did not take any notes, so please forgive the inexact reviews. On the left is the Thai Summer Roll. This is what I described above, except we got a better picture this time. On the right is a really cool appetizer. 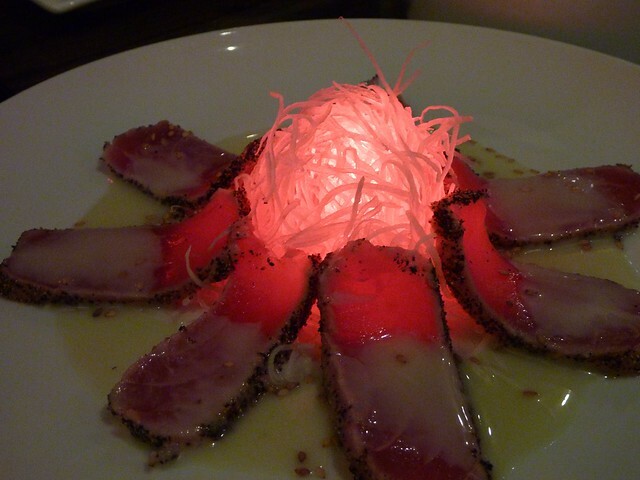 It was delicate tuna served with a light in it for some dramatic effect. I will say that it might be the first time I have had something non-alcoholic with a light in it. Here on the left are a couple of rolls that our friends ordered. The one in the foreground is the Out of Control Roll and I did not note the one in the background. I think they went down pretty quickly, and our friends enjoyed them thoroughly. 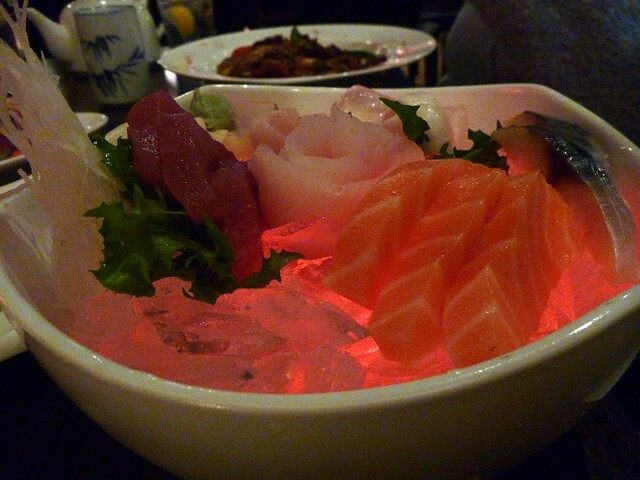 On the right, we have Sashimi Time. I will spare you the references to an out of work performing artists here. You are welcome. The lights made for a dramatic presentation. If you have held on this long, you really should click on the picture to see a bigger image. I had an ulterior motive in ordering this dish. I wanted to see how this establishment cuts fish. As crazy as it sounds, not everyone can correctly cut fish. After this dish, I will be getting some sashimi here again soon because I found the simple, gentle flavors of the freshly cut fish to be incredible.